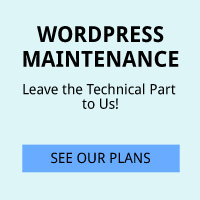 Managing WordPress is an ongoing process. Although WordPress sites are easy to use and rarely break down by themselves, they are anything but maintenance free. Over time new security issues or bugs get discovered, some plugins start acting wonky and even the database itself needs cleaning. Without ongoing maintenance these issues tend to build up, slow down your site, or even go down. If you are a do-it-yourself-er and have the time to manage the site there are four major areas to keep up: 1. Updates to core, themes and plugins, 2. Security and backup, 3. Optimization and performance, 4. Analytics. Of course even if you are doing a great job maintaining the site, things can still go wrong. It’s a really good idea to have a good relationship with a WordPress developer for if and when they do. By far the most important part of managing WordPress is to keep all the plugins, theme and core up to date. This is important for security reasons and you benefit from any new features. 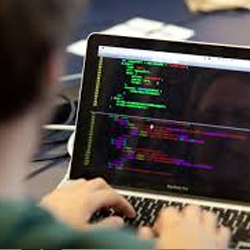 If you have several updates to do, do the theme first, then all the plugins and core last. There are updates all the time so check on a regular basis. We check all the sites we manage daily. In the last week WordPress core updated from 4.1.1 to 4.1.2 to 4.1.3 to 4.2.0 to 4.2.1. The majority of these updates was for security reasons so it’s important to keep up with them. Backup your site regularly. If you are adding new content daily, back it up daily. Make sure you are saving the backups on a remote server (not the same server as your site). You can have them emailed to yourself and keep them on your own computer, or have them stored online on something like dropbox. Your host may be doing daily backups, but make sure that you can have access to them and the backup are on a remote server. We use Backup Buddy, and keep them on dropbox. WordPress Backup to Dropbox also works well. If you are managing a multisite, Snapshot Pro works great. Good security plugins are a lifesaver. We use both iThemes Security Pro and Wordfence. Both have free and premium versions. You can read more about WordPress Security here. Google uses speed and performance in their page rank algorithm. After making sure you are on a solid host, add a cashing plugin like W3 total cache or WP Super Cache to speed up your site. If you don’t understand what these plugins are asking when you are setting them up, have someone who does do it for you – they can either really speed up your site or really mess it up! Optimize all your images. We use WP Smush Pro. This plugin will compress all the images that are on your site and will compress any you add on the fly. This is one of the biggest performance upgrades you can do for your site. Optimizing the database. WordPress database tends to get messy over time. Doing a nice sweep every couple of months can reduce the database bloat and keep things healthy. This can be done with a plugin like WP Optimize. Hopefully you are checking your analytics everyday. Aside from tracking the sites performance and what pages are generating traffic, you can see if you are getting pounded with referer spam. If you are getting a lot of this type of useless traffic you can block them with Wordfence or SpamReferrerBlock. Every month or so run BrokenLinkChecker. Users really don’t like broken links and this is another thing that will have a positive impact on the site’s SEO. Managing WordPress is not really that hard. It’s just time consuming – you really need to be vigilant and consistent. Our experience shows that this is one area where site owners tend to fall down. Although WordPress is free, it’s anything but maintenance free.